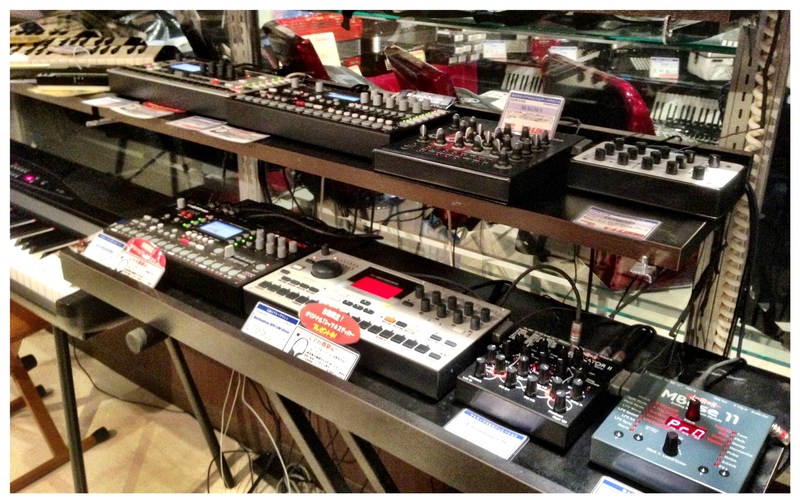 The sprawling district of Shibuya in Tokyo is home to some of the most interesting vintage synthesizer stores in the country (if not the world) and a Mecca for music lovers and up and coming artists. Walking around its streets and alleys on any given day at any time (even the wee small hours of the morning) I guarantee you wont have to go far before you stumble on a bar or club that invites you with music you’ve never heard before. 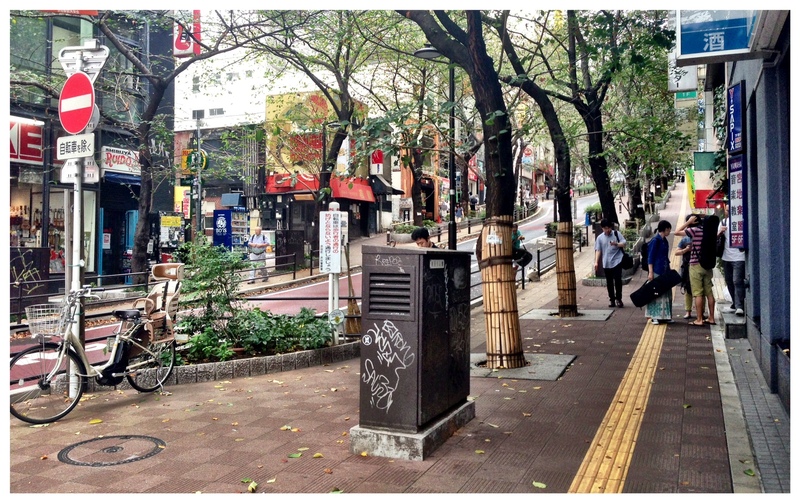 Shibuya is known for being one of the most important testing grounds for new genres and artists in Japan. 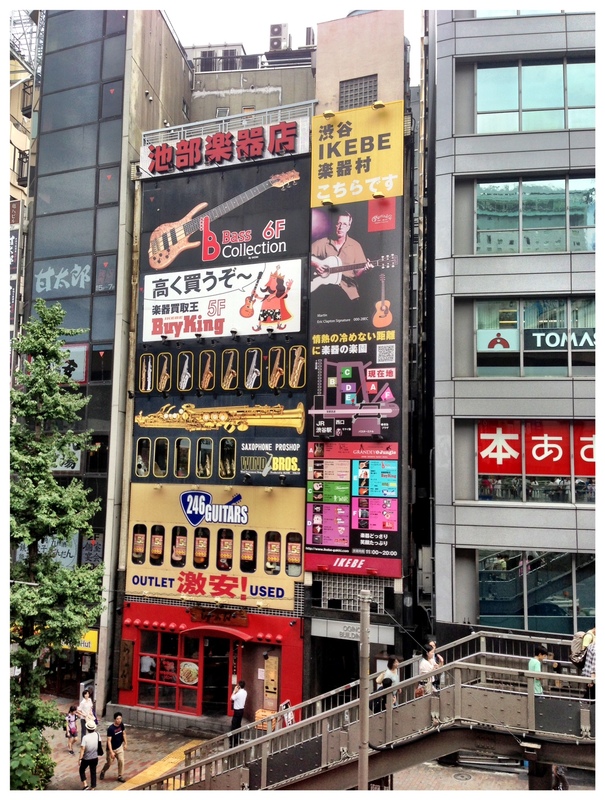 I’ve written before about some of the off-the-track stores in the area (here and here), but today I’m going to show you some pictures of the largest and perhaps most mainstream or commercial collection of instrument stores in this part of Tokyo. If you are looking for a new Tuba or Trumpet, a built to order exclusive guitar, a gold-plated Moog or simple new strings for your Bass, this is where you’ll want to go, but make sure you bring a map or otherwise orient yourself before heading out, the area is a bit chaotic. 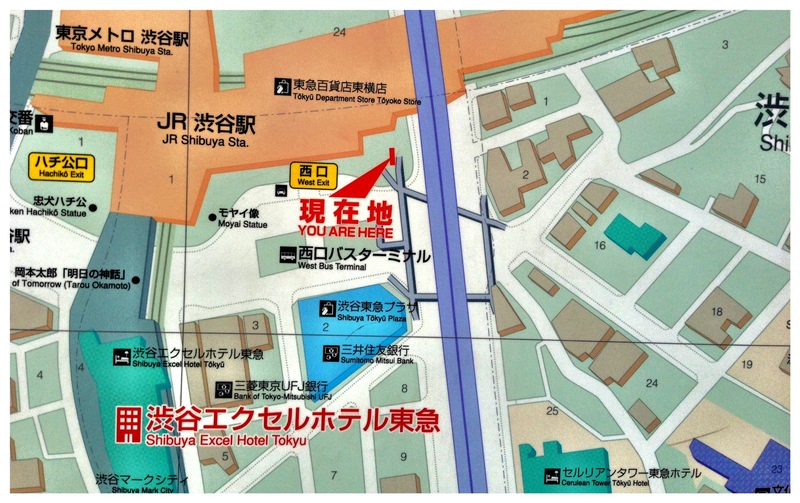 Exit the Shibuya train station on the western side towards the bus terminals and you’ll soon find yourself facing a large network of pedestrian overpasses (the purple / grey parts in the picture below). Cross over this overpass and you will soon arrive at the ‘entrance the the Ikebe Gakki Mura (イケベ楽器村). The ‘instrument village’ is really a collection of stores situated close to each other making up a complex neighborhood of specialty shops. Here’s a stylized map showing the locations of some of the major stores in the area. When you see these signs you are on the right way. 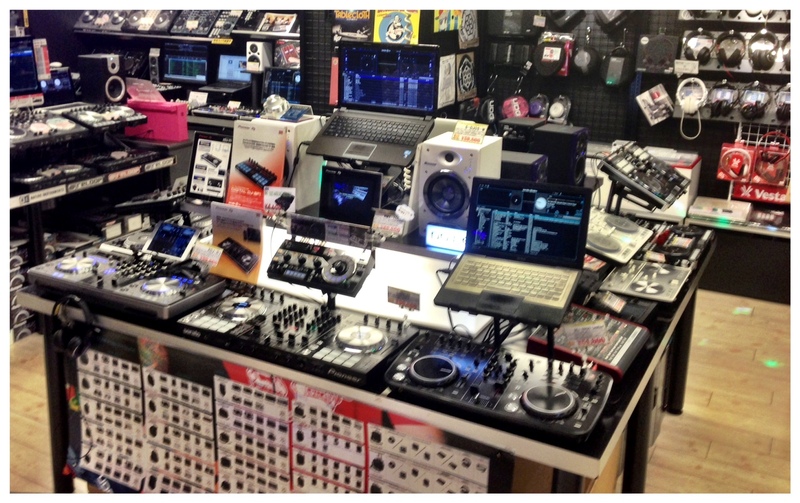 Inside some of the shops in the ‘DJ’ tower (Power Rec is a great one). 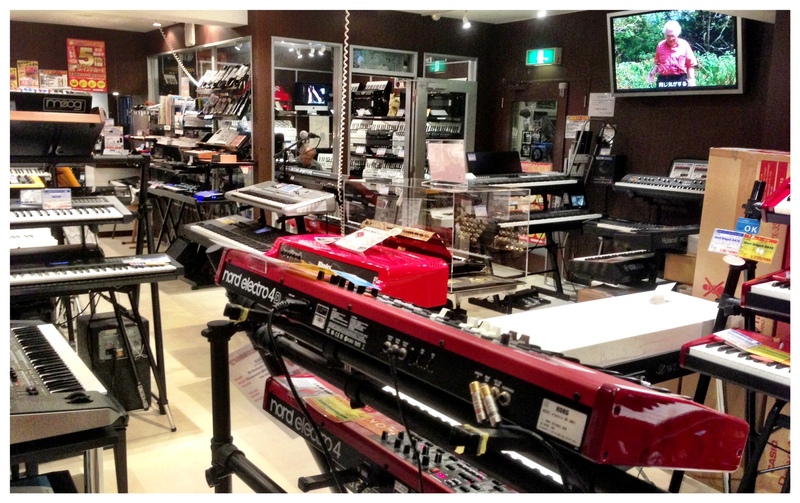 One of the keyboard / synthesizer specialty stores. 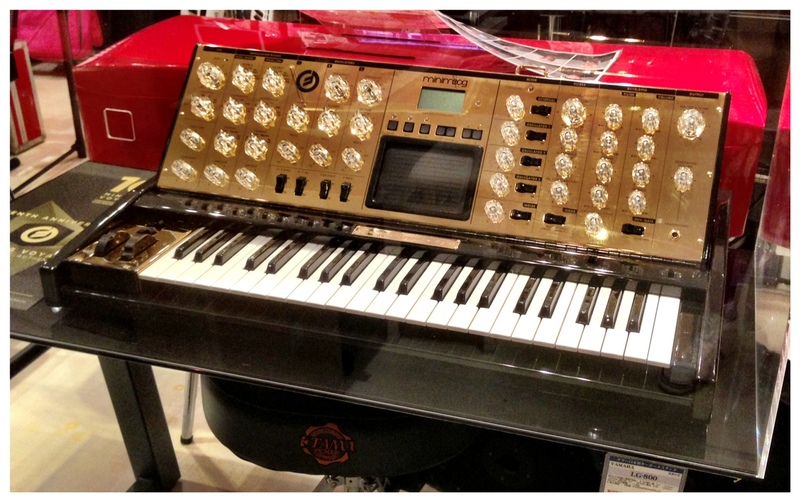 A golden Moog (17/30 if I remember right). 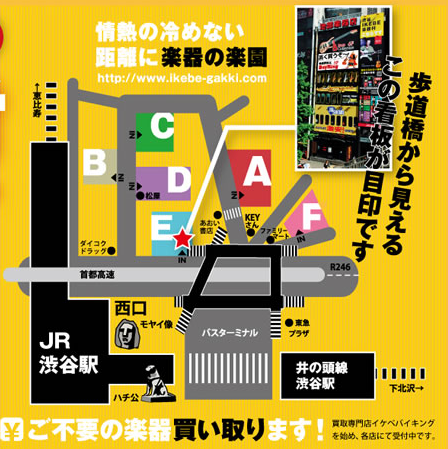 Check out these links to the official Ikebe page where you can find detailed information on the various stores, the opening hours and locations. 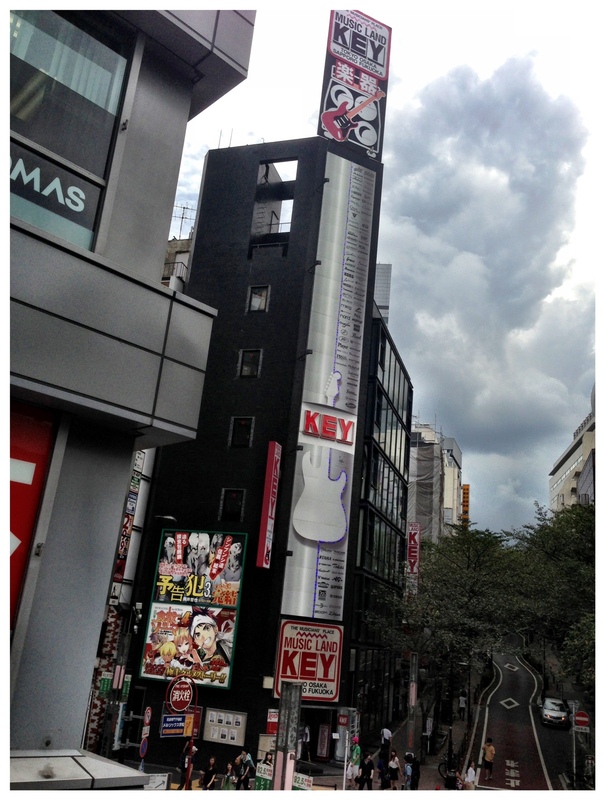 This entry was posted in Tips, Travelling, Walking and tagged DJ, Instruments, Music, Shopping, Stores, Synthesizers, Tokyo by HKJ. Bookmark the permalink. I’m about to fly to Tokyo from Beijing. Beijing was a complete bust. 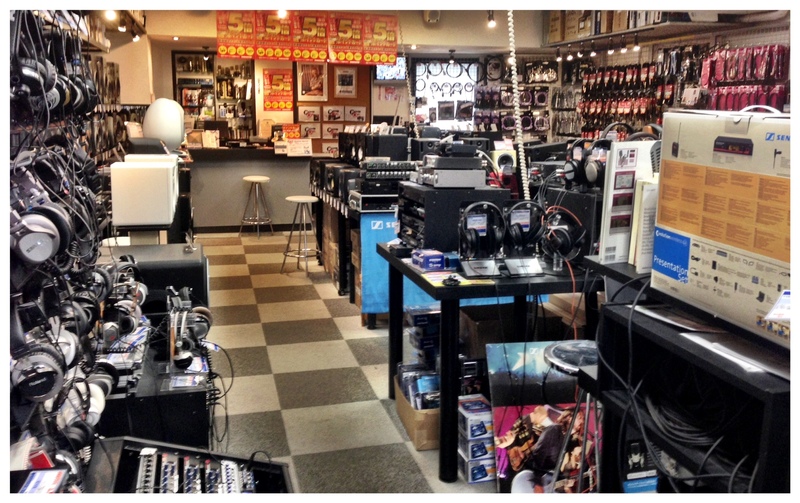 I found one street – Xinjiekou South – which had music stores, and of all of them, two stocked synthesisers. 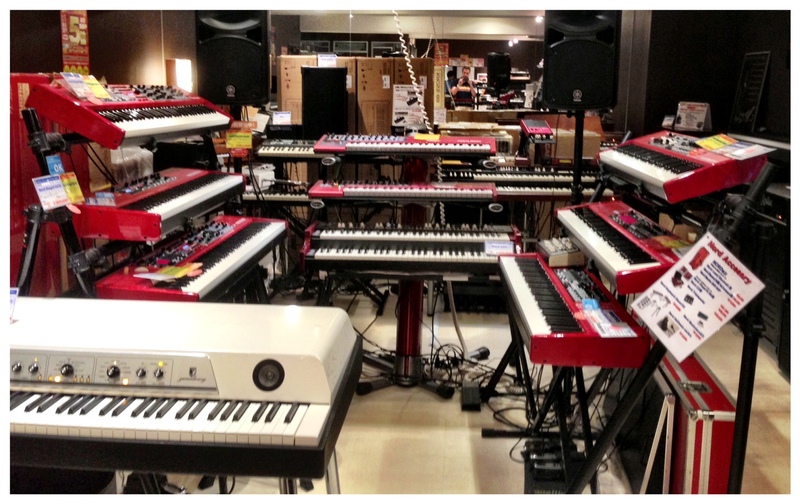 Sadly, a Roland System 1, a couple of Jupiter 80s, and some Nord gear – nothing exciting! Everything else was either traditional Chinese instruments; classical (violins, cellos, etc), and guitars. 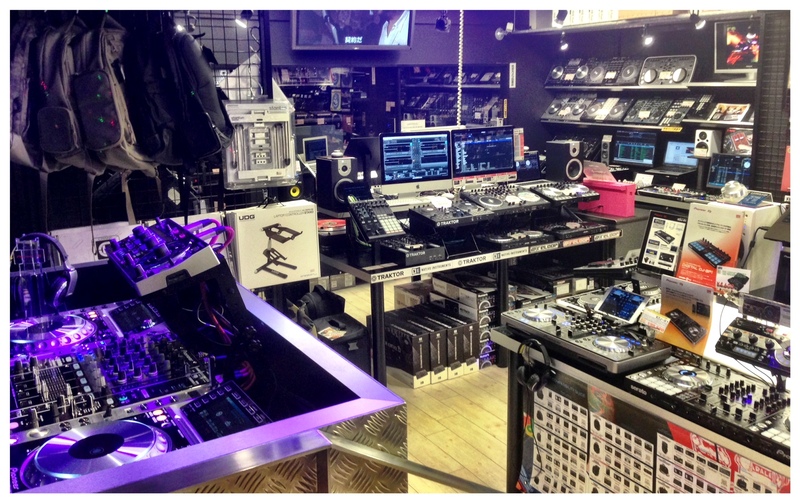 Speaking to one of the shop owners who spoke english, she said the synth scene in Beijing is pretty dead, and they were unfamiliar with current gear (she had not heard of the Arturia Microbrute, which is what I was looking for). Plus, the prices weren’t that competitive. 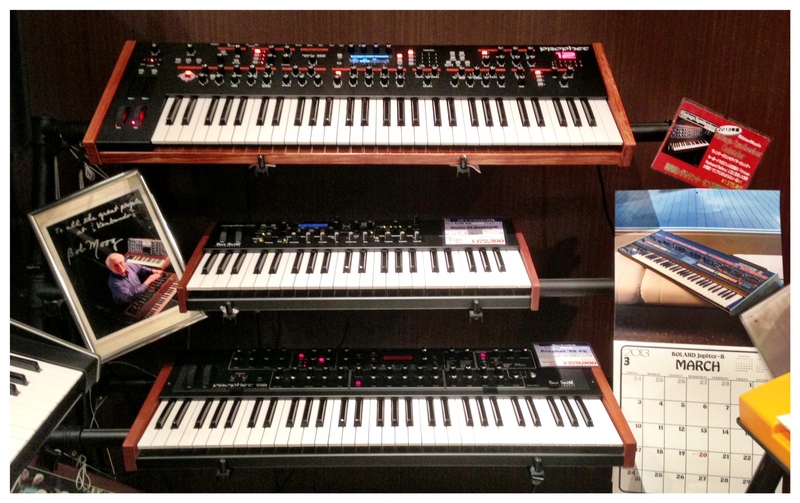 The Roland System 1 was selling for 4,500 Yuan, which worked out at around $900 AUD – I can get it for $799 AUD back in Australia. 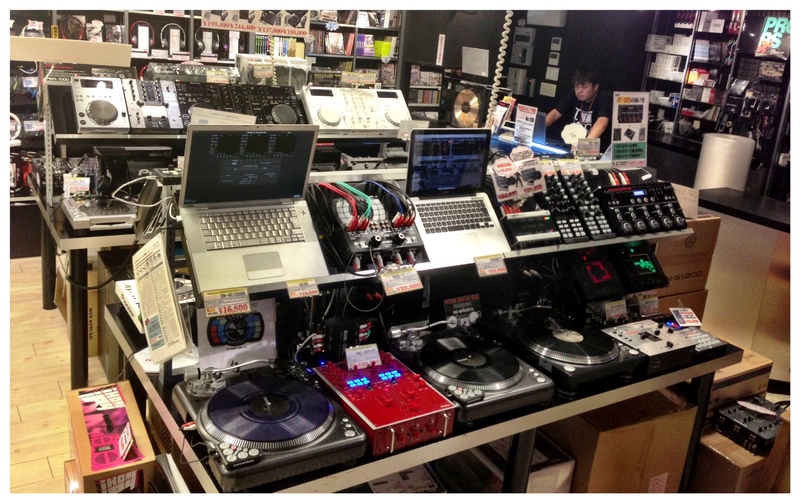 So I’m definitely looking forward to two weeks in Tokyo and exploring the best music stores. 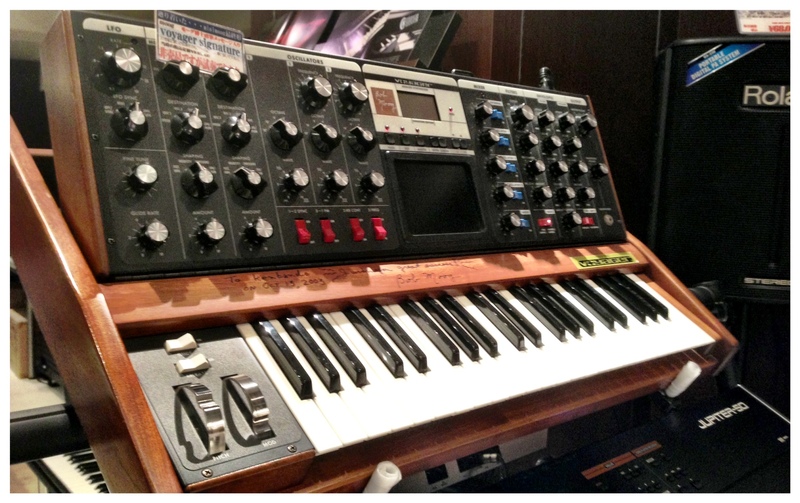 They have a ton of vintage and rare gear!